Ogun Governor, Ibikunle Amosun has denied colluding with his Imo counterpart, Rochas Okorocha in seeing to the alleged detention and grilling of the All Progressives Congress (APC) National Chairman, Adams Oshiomhole on Sunday by the Department of State Services (DSS) over the fallout of the APC primaries. 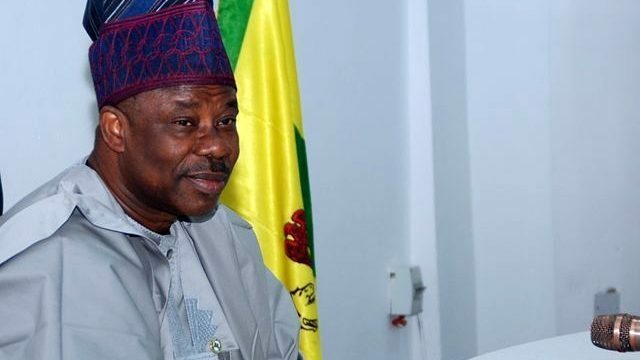 Speaking with State House correspondents after a closed-door meeting with President Muhammadu Buhari on Thursday, Amosun said he did not have the capacity to do such, adding that it was not true that he was having problem with the leadership of the party. “I think you are giving me an oversight role. I am not a security person; so, clearly, that question will probably not be for me. I don’t hide under a finger and fight; if there is need for me to put my views across, you know by now, I will do it,” he said. Governor, Nyesom Wike of Rivers on Thursday criticised the federal government for allegedly shielding Prince of Wales, Charles and his wife, Camilla (both of whom are on a three day visit to the country) from visiting the region that produces the country’s wealth, describing the development as painful. The governor who bared his mind when he received at the Government House, Port Harcourt, International Evangelist, Daniel Kolenda, questioned the parameters used in confining the Prince of Wales to Abuja and Lagos, stressing that the actions of the All Progressives Congress (APC)-led federal government in the course of the visit of Prince of Wales underscored the negativity that has characterised governance under the present administration. Look at the sitting arrangement of their photograph with the Prince of Wales and where they placed the producers of national wealth?” he said. The Federal High Court, Abuja on Thursday refused to issue a bench warrant for the arrest of the Deputy Senate President, Ike Ekweremadu, over his absence in court to defend the charges of refusal to declare his assets. In a short ruling, Justice Binta Nyako noted that the senator was already challenging the jurisdiction of the court and validity of the charge against him, adding that his appearance in court was not necessary for now until the issue of jurisdiction and competency of the charge have been resolved by the court. The Special Presidential Investigative Panel for the Recovery of Public Assets had filed two charges bordering on the alleged refusal of the Deputy Senate President to declare his assets. The Federal Government says only N50m has so far been incurred for the national carrier project, ‘Nigeria Air,’ which it said is yet to be paid, dismissing reports that over 1.2 billion naira has been spent on the suspended project. Minister of State for Aviation, Hadi Sirika who made the clarification on Thursday in Abuja at the Aviation Stakeholders forum, said that apart from commitment in respect of transaction advisory services, branding and participation at Farnborough air show, no other expenditure has been incurred on the the Nigeria Air project. “So my dear brothers and sisters, it is not $8.8million I paid. I swear by Allah who created me, I also swear by Allah who created me that it is this amount I have shown you that we paid for all of the activity,” he said. The resolution followed an approval of the recommendation by its adhoc committee chaired by Hon. Ali Isa (Gombe) which investigated the operations of NEMA under Maihaja and recommended his sack.